Employment of human resources managers is projected to grow 9% from 2014 to 2024, faster than the average for all occupations. That’s why you should create a resume that will stand out among the crown of other applicants. Resume writing is one of the hardest parts of getting a job. One of the things that should be considered in making your resume is your objectives. A management resume objective as well as HR resume objective should be nice and concise. It should focus on your abilities, skills and explanation of the work that you want to have. Most of the time HR managers don’t have so much time in reading each resume. You have to remember that it has to capture the attention of the employers because your main goal is to make them “hooked” in reading your resume. You should know that your resume objective is like your brand identity, meaning it should be concise and clear enough for an employer to understand. You should write your objective to highlight your experience and knowledge in the industry. It is possible to write a fake branding statement but most of the time it does not show that you are qualified for the position. It is still best to analyze and review every work experience that you put on your resume so that it will meet the basic requirements of the work. In writing your HR resume objective, you have to choose the right words. Use words that will show your passion for the job you chose in less than 30 words. You may write it using different adjectives to express that you really care for the job. Making use of numbers can help your resume objective more informative, especially for an HR manager who has a definite time in reading each submitted resume. Use them to give a positive effect to the reader. 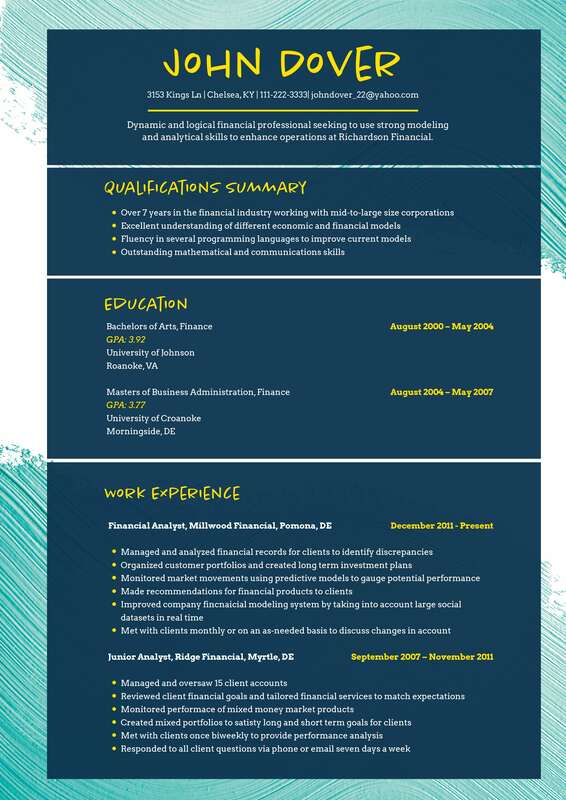 As you can see writing a resume, especially an objective is not easy at all. Though it is just one part of your entire resume, its impact is big. This is the part where employers would open their doors to read more about you and to give time in reading your resume. Always remember that aside from your name and other personal details, your objectives are one of the first things that managers will be reading. So it is very important to impress them as the cliché says “First impressions last.” Learn more about writing an effective statement now!